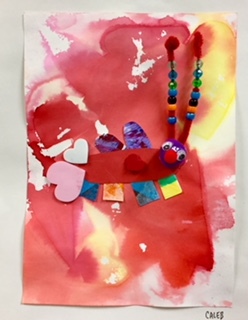 These Love Bugs by 2nd Grade were fun! They were a hands on, glue gun, labor intensive project. 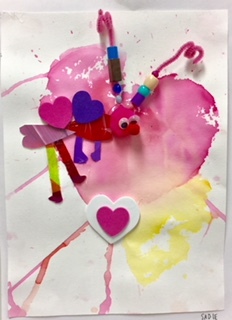 During the first class session, we used hearts that I had cut from bleeding tissue paper. 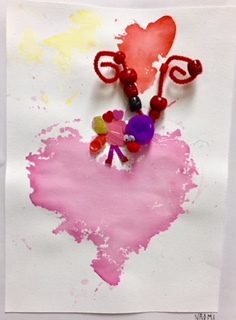 The kids placed the hearts on the tissue paper and brushed water on the hearts. Next, I glued eyeballs and pipe cleaners to pom poms. 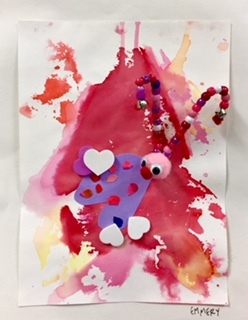 Also, I found some painted paper that was perfect for a valentine project. 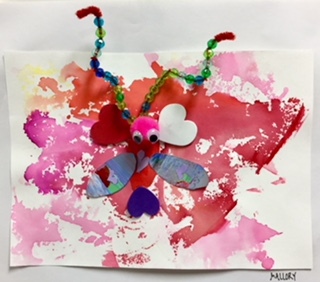 When the kids arrived the following week, they began to draw their Love Bugs on the painted paper. 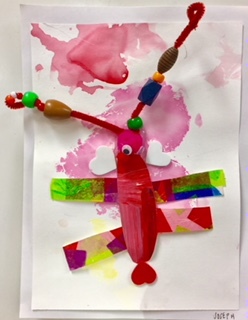 They had painted paper and construction paper to make their bugs. I told the kids could walk or fly. Once they had the bugs glued down on paper, they grabbed a pom pom and beaded their antennae. 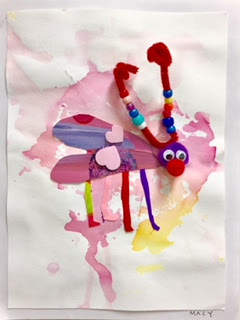 They brought the paper with the bug body and the bug head with a pipe cleaner attached, I used the glue gun to attach the pom pom to the body. Also, they glued random foam hearts on their body. 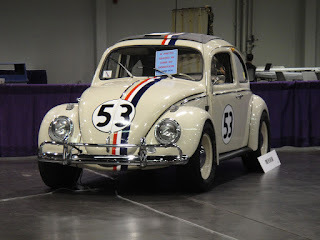 Does anybody remember The Love Bug movie released in 1968? Oddly enough, I do. I loved that movie. Herbie was a race car that had a mind of his own. Check out Herbie. Here's that classic Love Bug 60s music in this funny clip of The Real Love Bug!